Today the sport of golf is incredibly popular, not just with players and spectators, but also with people who have no other interest in the game apart from the betting angle. Golf is an international all-year-round sport. Hardly a day goes by without a golfing tournament teeing off in some (sunny) part of the world. There are even TV channels devoted to the sport and this gives gamblers a vast selection of golf betting action to choose from. Some of the action is through golf betting online. There is betting on the “Open”, “Masters” and European tournaments. There is little or no likelihood of competitors ‘throwing’ a golf match as this is a highly competitive individual sport played for big money prizes. Bettors don’t need to worry about how well individual team members will play, how the whole team play together or whether the manager will play a good tactical formation. There are probably just fewer variables to worry about (except the wind!) than any other sport. With golf betting, you’re gambling on the proven track record and ability of just one man against the rest of the field. Golf Betting Tips: Good, reliable golf betting tips and golf betting information is widely accessible from a variety of media. Not only can you watch many golfing events live on television, you can access a plethora of statistical information and golf betting advice that can enable you analyse players trends and patterns and thereby make more logical betting decisions about any future tournaments. Golf Betting Odds: The variety of bets that can be placed during a golf event are impressive too. Not only can you bet on the outright winning golfer of any tournament, you can also bet on individual golf rounds, “match bets” among two or three players and even between larger “group bets”, such as nations. Golf spread betting is also available. Golf Betting Tip: One of the most profitable bets for the knowledgeable golf tournament follower is known as the two or three ball bet, where for betting purposes two or three golfers are pitted against each other for a single round. The golfer with the lowest round wins, and if you correctly select him then so do you. If you know the game well, two-ball and three-ball betting can be used to dramatically increase your profits from almost any golfing event – and it’s fast. Choose wisely and just eighteen holes stand between you and another winning bet. 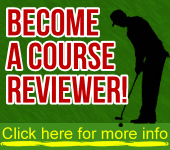 Good Luck from Golfer-Today.co.uk for your USA, UK and European golf betting.